Cancer cures, or what some think are cancer cures, are displayed all over the internet. Many people post these so called cures on social media, especially Facebook. This makes me angry. 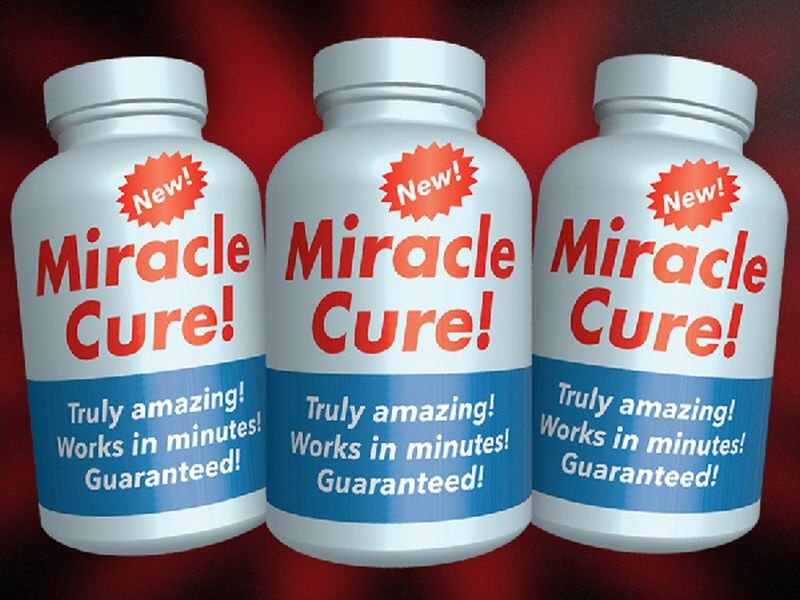 These “cures” are bogus. They give cancer patients, who are vulnerable because they are sick and looking for answers, false hope. 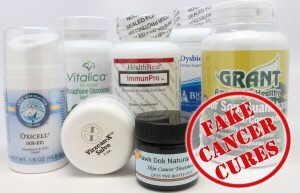 In doing research on the subject of bogus cures, I found the Food and Drug Administration is calling out more than a dozen supplement and herbal product makers for misleading their customers with fake cancer cures. They have received warning letters, which is standard procedure. These fake cancer cures come in the forms of creams, pills and teas. These creams, pills and teas promise to cure bladder, breast, stomach, skin, lung and many other types of cancer. 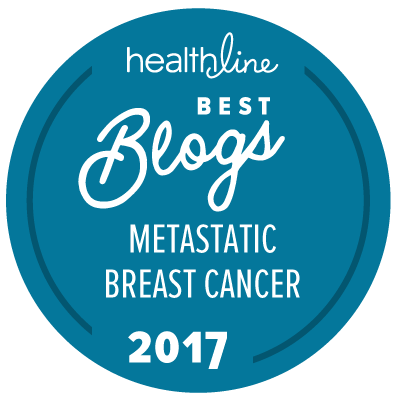 Slick ads, videos and other marketing techniques -including testimonials about miraculous outcomes- are what these companies, who produce these bogus cures, use to lure cancer patients in. On Facebook I have learned that everyday herbs and spices, dandelions, and cannabis can all cure cancer. People post these “cures” all the time. Now, think about this…..If all these products worked, there would be no cancer. Believe me, I wish they did work. I would much rather sip dandelion tea than get toxic chemotherapy running through my veins. On one of my visits with my oncologist, Dr M, I brought up turmeric. Turmeric is a perennial plant which is part of the ginger family. I read an article that turmeric can cure breast cancer. Dr. M was more than happy to discuss this topic with me. I knew the answer. NO! In fact, turmeric at high doses can cause side effects such as stomach upset, nausea and dizziness. There can also be interactions between turmeric and current medications you are taking, which can be quite dangerous. Dr. M told me she would be happy to discuss any “cures” with me that I read about. Truthfully, there have not been any since I read about the turmeric. I know better. For me, I need to receive chemotherapy. Many people tell me it’s poison, or that the chemo is worse than the cancer itself. Well, if I didn’t get chemotherapy, I would not be here. I will do what I need to, as long as I feel well, to prolong my life. We are all looking for answers to our ills. Unfortunately, we don’t always get the answers we would like. Speak with an oncologist if you have any concerns regarding a cancer cure. Remember, if it sounds too good to be true, it probably is. Real fake news is everywhere. Thanks for the reminder! All of us battling whatever form of cancer we are battling have at one time or another prayed for that cure all pill, tea or cream. It really doesn’t exist, deep down we know it, it’s the accepting that is difficult. For me personally Ibrance and Letrozole have come the closest to that little miracle pill. So far I’ve had no surgeries and the original tumor and bone lesions have all but disappeared…Yeah Me!!! but I know that this insipid disease can and will rear it’s ugly head whenever it feels like it. So for now, I’ll keep doing what works, pray for that “Miracle Pill” and keep putting the well intended links family members send in the trash can. Again, thanks for the reminder and best of luck with the treatment of your choice. Happy to hear Ibrance and Letrozole are working well for you. I wish you all the best. A great post! And important reminders! So very well said. People can end up making you feel it is your fault you have cancer as you did not eat, drink etc the right things!! I know. Happens ALL the time! I’m thinking this subject would make a good blog. All the best to you. I understand people latch on to these supposed cures out of fear, but for many things, there are no perfect answers. Cancer is one of them. Chemo compromised some quality of life for me and I wish I never needed it, but I’m certain I wouldn’t be here to complain about it if not for chemo. Well written! When someone claims to have “the cure” for cancer, Beware! It is unscrupulous people preying on our vulnerability.